After the election, I spoke with a person from the other side of the aisle who asked what I would be doing now that the Tea Party’s mission was over. He was under the impression, probably gathered from fake news stories, that the Tea Party’s mission was just to oppose Barack Obama. Nothing could be further from the truth. The Tea Party Movement is a grass roots response to the corruption, and incompetence, we have seen at every level of government. 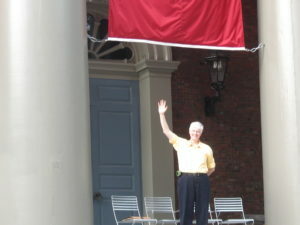 The Worcester Tea Party is an incorporated non-profit dedicated to education focusing on economics and politics. As an educational organization, those that accepted a leadership roles are given the title of Deans. The treasurer of our organization is our Bursar. Previous leaders of our organization that have retired from most active duties are Senior Fellows. The guidance and counsel of our Senior Fellows is very important to our organization. I have the honor of being the President of the Worcester Tea Party. The President is the spokes person and evangelist for the group and I help out in any other way I can. Our Deans are self starters with a commitment to our core principles of Individual Liberty, Limited Government and Fiscal Responsibility. Deans pursue different projects with the understanding that the goals of our organization are fixed, but the methods that we attempt will change over time. We have Deans focused on Twitter account, a Facebook page and we are pod-casting with Spreaker. We also have a YouTube channel a Pinterest account and a WordPress website which are doing well but could be improved if volunteers were committed to them. There are no limits to the opportunities for volunteers. The true strength of the Worcester Tea Party is our members. It is our members that hold the signs at protests. It is our members that ask questions of scurrilous politicians. 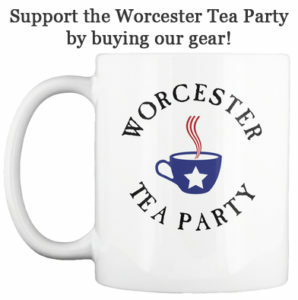 Our members provide t the donations that pay all the Worcester Tea Party’s bills. 2016 has been a year where we have endured painful losses and enjoyed surprising victories. Through 2016 many of our members have stepped into new roles and have advanced our organization. It is our members that do all the hard work of citizenship that our group is famous for. ← New President! New Hope?